Arsenal winger Theo Walcott is confident the Gunners have found their form after their scinitliating 5-3 win over Chelsea at Stamford Bridge. The Gunners fought back from 2-1 down to claim a spectacular victory against the title contenders, with a Robin Van Persie hat-trick and efforts from Walcott and full-back Andre Santos enough to take the spoils at Stamford Bridge, and rounds off a remarkable recovery after the London club suffered their worst ever start to the Premier League under boss Arsene Wenger. Defeats against local rivals Tottenham and an 8-2 humiliation at the hands of Manchester United compounded a summer exodus lead by Samir Nasri and Cesc Fabregas to leave Wenger’s job looking in doubt, but a run of form that has seen the Gunners win five of their last six Premier League games to move them up to 7th in the league table. Now Walcott believes Arsenal can use the momentum gained from their excellent run to challenge for honours, but insists they are not getting too carried away just yet. "We are not looking too far ahead," Walcott said. "We don't want to say where we're going to finish at the end of the season, but the way we're playing at this moment in time we believe we can beat anyone. "We're enjoying our football, our run is great now and we're just going to keep on continuing that... everyone is buzzing at the moment. We were disappointed to go 2-1 down just before half-time [against Chelsea], but before that we were playing some great football. "It seemed that every time we went forward it looked like we were going to score and it could have been 8-7. It was just one of those crazy games that I'll never forget." He added. Key to Arsenal’s resurgence has been the form of Robin Van Persie, who has found the net ten times already this season with football betting tips indicating he will end the season as the league’s top scorer. Wenger admitted the Dutchman was “on fire” at the moment”, but refused to comment on how contract talks with Van Persie, who has entered the final two years of his current deal, were progressing. Arsenal manager Arsene Wenger was full of praise for star striker Robin Van Persie for his incredible scoring form of late. The Dutchman has been in imperious form so far this campaign, and added to his growing goals tally with a stunning hat-trick against Chelsea in the Premier League at the weekend. Many football betting pundits have been critical of Arsenal this season, with the heavy defeat to Manchester United being the club's real low point. But they have enjoyed an upturn of fortunes of late, with Van Persie's goal scoring exploits a key reason for their successes. Wenger said: “Robin is on fire at the moment and his class means he is taking advantage of being in a team that wants to attack a lot and create chances. The Gunners launched an impressive fight back at Stamford Bridge on Saturday, coming from behind to win 5-3. It would have been easy for them to fall apart once more when trailing, but lead by the inspirational Van Persie, the club recorded another win to continue their recent turnaround in form. After the game Wenger expressed his delight to get the win, and was complimentary of his side's performance. He added: “We needed a win here and we kept going to win the game. Van Persie's hat-trick adds to a staggering run of scoring form that has seen him net 28 goals in just 27 Premier League matches. And just lately, he has been more than just a regular contributor of goals, scoring braces against the likes of Bolton, Sunderland, and Stoke. Arsenal manager Arsene Wenger has given their supporters a boost by revealing that contract negotiations have been opened with Robin Van Persie. The Dutchman has been in fine form for the Gunners this year with nine goals in 13 appearances. In addition to that the number of high profile departures in recent months has meant he has rapidly become the last symbol of resistance between the club and the new-moneyed elite (i.e Man City) that are hoovering up players left, right and centre. Now, it has to be said that opening negotiations and actually having the player sign a new deal are two very different things. However, it is at least a sign the striker is open to the idea of staying when previously he had given off hints of discontent and the looming shadow of City and a 50% wage increase became more menacing. But Wenger knows how important Van Persie is to his current side and their premier league odds would take a real hit if he left. As a senior player – and captain – he is the man the Frenchman hopes will guide his young players through a tough period which has seen a number of incoming and outgoings and the club struggle to maintain their admirably self-sustaining business model in the wake if the craziness at the Etihad. Wenger was speaking at the club’s AGM, where he also launched a passionate defence of both the club and his management in difficult financial times where the club’s football scores have deteriorated. The gathered journalists though were more interested in Van Persie so when quizzed on the issue, he said: "He has 18 months to go and I'm confident he'll sign a new deal. I'm always confident." Arsenal new boy, Per Mertesacker, has sky-high hopes for the Gunners, despite a difficult start to the season, which has seen the Londoners lose four out of their first nine games. The German international, in a conversation with Sky Sports News, told of his desire to “go through” in the Champions League with Arsenal. “I'm very confident, I think we can do this”, the gigantic (6ft, 6in) defender said. Mertesacker's team are certainly on track to qualify from Group F of the competition, after securing narrow victories over Olympique de Marseille and Olympiakos, and drawing with luminous Europeans, Borussia Dortmund. People following the FA Cup betting will know Arsenal are still fighting on four fronts though, so things could be tough. Arsenal currently stand in pole position in their diminutive league, at the halfway point of the group stages. However, any hint of collapse could permanently ruin their Champions League campaign. Wenger's team are only one point ahead of Marseille, and just four points from third place, Olympiakos. Dortmund, pending a dramatic fightback, appear doomed, with just one point from three fixtures. The Gunners will play Marseille for the second time in just under a fortnight, on November 1, in what promises to be a crucial tie for both sides. Marseille, despite losing 1-0 to Arsenal, last week, are no pushovers. The Phoenicians, as the French side are known, crushed Dortmund 3-0, at the end of September, a result that extended their unbeaten run in Europe to two games. Returning to Mertesacker; the defender intimated that Arsenal will be forced to use upcoming games as a surrogate pre-season, given that most of the Gunners' new arrivals turned up late in the transfer window. People following the Carling Cup betting will know this. “We have no time to do lots of work together, but we have to use games and work hard as a team”, the 27-year-old said. “I think we are doing well." Arsenal manager Arsene Wenger has revealed that South Korea international Park Chu-Young is ready for the Premier League. The striker played the full 90 minutes in the Gunners’ 2-1 Carling Cup win over Bolton, grabbing his first goal for the club in the process. Wenger admits that Chu-Young, who signed from Monaco over the summer, needed to time to adjust to the pace of the English game, and didn’t play to his best in a previous Carling Cup encounter with Shrewsbury, his first live football of the season. However, after a few more weeks training the 26-year-old is set to give Arsenal a much needed boost in the Premier League. After a shaky start to the season the goal-scoring exploits of Robin van Persie have helped pick up some valuable points in recent weeks, but Chu-Young’s presence will give the Dutchman some much needed support. 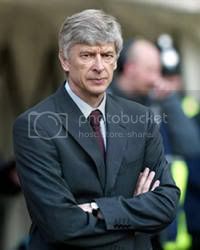 Plus with the league out of the question, you can bet on the FA Cup and Carling Cup taking greater priority for Wenger this year as he bids to end his six-year trophy drought. Speaking after the Bolton game Wenger said: "Compared to the player who played in the first match [against Shrewsbury] where he was a bit inhibited, tonight I felt he played with freedom and has showed what a good player he is." "He had a very, very good game. His movement was exceptional and his finishing is absolutely fantastic,"
"He is ready to play in league games. "We want to just keep going and I think it is down to us to change the mind of people," the Frenchman continued. "We have a good spirit, a good attitude and there is still some room for improvement of course. We are getting better and better." The news that Thomas vermaelen has signed a new, long-term contract at Arsenal is a welcome boost for Arsene Wenger after what has been a difficult first two months of the season for the Gunners boss. Vermaelen's time at the Emirates has been dogged by injury but he showed enough during his first season in the Premier League in 2009-10 to earn a place in the PFA Team of the Season that year and weighed in with eight goals to help the Gunners finish third. Those following the latest football odds will know the side need him to shore up the defence. He has only managed two Premier League appearances so far this term and Wenger has certainly missed the Belgium international as Arsenal have struggled at the back. they are now the real outsiders among the likes of Tottenham, Liverpool and even Newcastle to secure a top-four finish. But the imminent return of centre-back Vermaelen will come as a welcome relief and is sure to add solidity to a back-line that has leaked far too many goals this season. People who bet Premier Leauge money should bear this in mind. Vermaelen's long-term commitment is also a shot in the arm for Wenger, who is still hoping Robin van Persie will follow suit and pen a new deal at some point over the next 12 months. Wenger knows exactly how important he is to his plans and was delighted with the development. "Our plan is always to sign top-quality players and with Thomas extending his contract, we have done just that," he said. "Thomas is a special player, who has always made a huge contribution on the pitch and we are looking forward to him being a part of our future at Arsenal Football Club." Sunday's 2-1 win over Sunderland has lifted the gloom at the Emirates somewhat and, following Vermaelen's new deal, a win in Marseille in the Champions League will raise the mood further. 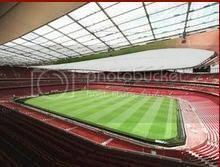 Arsenal were lucky 2-1 winners at The Emirates Stadium on Sunday afternoon against a Sunderland team who will feel aggrieved to leave North London without anything to show for a rejuvenated performance. One thing that did strike home to me whilst watching the game from the comfort of my living room however was just how ordinary The Gunners would be minus their new captain marvel, Robin Van Persie. It may come as harsh reality for Arsenal fans but without RVP as the teams talisman their side is quite simply distinctly average. Van Persie is a crowd pleaser and if Arsenal have any chance what-so-ever of qualifying for European competition through the league they will need to keep their Flying Dutchman fit. The 28 year old netted a brace in Sunday’s win the first coming after just 27 second and the other a superbly taken free kick which nestled past Simon Mignolet in the top corner of the net. Many of those looking at football betting tips have always seen Van Persie as a tremendously talented footballer with a unique eye for goal but the key for Arsenal will be to keep him fit for the majority of the season. The club can ill afford to see RVP miss any games with the only other strikers at the club being Gervinho who hasn’t yet hit the ground running in English football, and South Korea captain Ju Young Park who has barely figured yet this term. With Arsenal’s other attacking options playing in fits and bursts and seemingly when it suits them it would appear that Van Persie is thriving in his new role as the team’s leader and main goal scoring threat. The likes of AndriyArshavin, MikelArteta and Theo Walcott, whilst all clearly exceptional talents on their day have of late been unfortunately for Gunners fans inconsistent and frustrating at best and with fan favourite Jack Wilshere out for months rather than weeks RVP will be relied upon to keep the fans on side. Losing fan favourite CescFabregas during the close season was a massive blow to the Gunners as it would be to any team in Europe to lose a player of such ilk. One thing is for sure though and that is if Arsene Wenger can keep Van Persie fit and firing a poor start could yet be turned into a good season. Admittedly Arsenal’s problems don’t lie solely on Van Persie’s doorstep and those who like to bet money on the Gunners will agree with that. It is the latest bout of bad news Arsenal fans did not want to hear. Just minutes after Robin van Persie struck two vital goals in a win over Sunderland, boss Arsene Wenger confessed that the Dutchman might not sign a new deal at the Emirates and become the latest big name player to leave. “Unfortunately the ideal situation does not exist often,” said Wenger. That sounds like a cryptic hint from Wenger that he expects the former Feyenoord player to leave. Van Persie has responded by insisting that he is committed to Arsenal, but going by Wenger’s definition of commitment he most certainly is. He has never given anything less than 100% for the club in his eight years and is arguably in the former of his career. 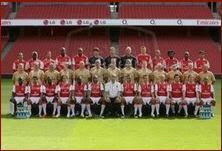 However, the decline in Arsenal’s fortunes – from favourites in the champions league betting to mid-table battlers - is there for all to see and you can understand why he may want to look elsewhere. A footballers career is short and at 28 he knows he is reaching his peak. With Arsenal in lower mid-table and Man City top of the league, is it any wonder many are tipping him to take the double-your-money offer allegedly on the table from Sheikh Mansour? Arsenal’s only hope is that success on the pitch persuades Van Persie to commit a few more seasons to the club, but if the campaign so far is anything to go by, I would Bet on the Premier League star plying his trade in a sky blue shirt sooner rather than later. Arsenal's in-form captain, Robin Van Persie, has once again come out to play down reports linking him with a move away from the club. The striker has been one of the rare shining lights to come out of Arsenal so far this season, with his form apparently catching the already interested eye of Manchester City, joining a raft of high profile players to leave the club since the end of last season. The Dutchman's contract at the Emirates is entering its final 18 months, prompting a series of reports that the striker could be set to exit the club. Van Persie had been relaxed over talk regarding a contract extension, which only added fuel to the flames, although chose to commit himself to the club, speaking in last weekend's programme notes ahead of the Sunderland victory. Those looking at the Premier League betting predictions will have taken note. "I want to say something about my commitment to Arsenal because there have been many stories in the media lately," he said. "I am committed to Arsenal, and that's how it is, despite people [in the media] making up stories." Van Persie's importance to Arsenal was evident again at the weekend, where the striker's brace helped the Gunners to an important 2-1 victory against Sunderland. The striker grabbed his first goal in the opening minute, scoring with just 29 seconds on the clock. The Dutchman then added his second with a stunning free-kick past the helpless Simon Mignolet in the Sunderland goal. People who bet on Premier League games should remember this. If Arsenal are going to turn their season around, then Van Persie is going to be an integral part of the Gunners' hopes. The Arsenal fans will be desperate their captain finally ends all the speculation though and sign that all important contract extension. Arsenal midfielder jack Wilshere has hit out at the criticism of Gunners boss Arsene Wenger, describing it as a “joke” that the Frenchman has come under fire after their poor start to the season. Wenger recently celebrated 15 years in charge of the club but has only won two of their first seven Premier League encounters, including the 8-2 thrashing at the hands of Manchester United last month and last week’s 2-1 defeat by local rivals Tottenham Hotspur. Wilshere, who is sidelined with an ankle injury that will keep him out of action until at least February, believes that despite his side’s slow start they can still finish in the top four come the end of the season. "We started a bit slowly but we still feel we can finish in the top four." He said. Wilshere is one of a growing injury list for the Gunners while a summer exodus including Cesc Fabregas and Samir Nasri undermined their start to the season, but Wilshere insists that he can fill the void left by Cesc Puma boots, and he has no plans to leave having recently penned a new five year deal. "No disrespect to Manchester City but Arsenal is the perfect home for me right now.” He commented. "Some players have got their price but, to be honest, that's not the way I look at the game. "All I think about is playing at the highest level and in the top competitions so I can measure myself against the best in the world. "I really am happy at Arsenal at the minute. Obviously, I want to win things and I want to do it with Arsenal."